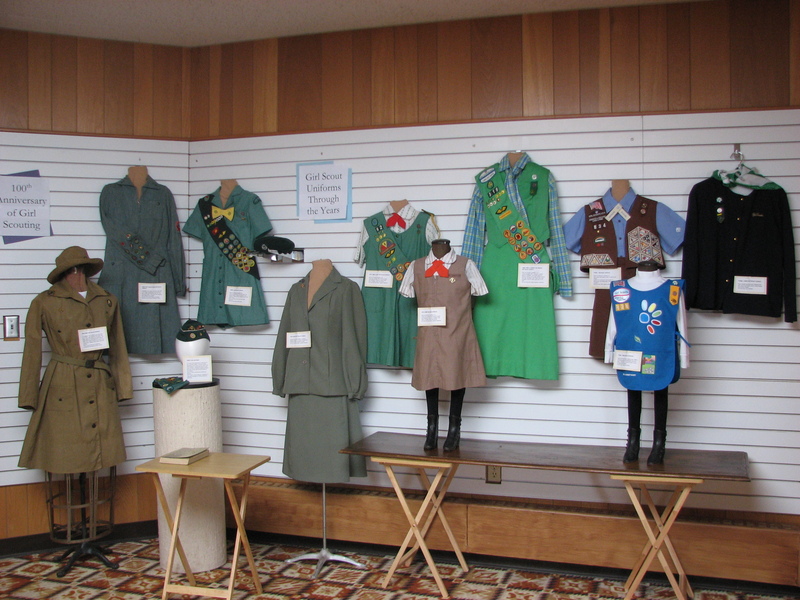 In honor of the 100th Anniversary of Girl Scouting, we are exhibiting “Girl Scout Uniforms through the years.” The exhibit is now open and will run though March. It features Girl Scout and Adult uniforms from the 1920s through today. The Girl Scout exhibit is free, but visitors are encouraged to visit the rest of the museum as well. Admission is $3 for adults $1.50 ages 13-18 and $.50 for kids 12 and under. The exhibit will be open during the Scout fishing derby Saturday, February 4th. If you don’t have a Girl Scout in your family or neighborhood, stop in and connect with local Girl Scouts who would be happy to sell you cookies – starting February 14th. This entry was posted in Local History, Museum updates and tagged Girl Scout, Girl Scout Uniforms, Pope County Museum. Bookmark the permalink.